One does not know whether there will be any space left after these elections for the Left. It’s hardly surprising that the joint opposition’s move denying Kanhaiya Kumar the opportunity to contest polls in Bihar’s Begusarai is making news. In its better days, such a turn of events would have surely irked the Communist Party of India (CPI). The individual then was secondary to the Communist party. Turning this ideological axiom on its way was unacceptable to the party. But the Volga and the Ganga have long since gone their separate ways. The CPI has to accept the bitter fact that the Indian masses relate to Kanhaiya, and not Kanhaiya’s party. The CPI’s non-inclusion in the joint opposition in Bihar has been followed by the announcement of Kanhaiya’s candidature from Begusarai by the joint Left front. But this decision goes against Kanhaiya’s previous commitment to not enter the fray if not chosen as the representative of the joint opposition. The CPI leader was very clear that his priority was to ensure the BJP’s defeat and not to embark on a path that would split the anti-BJP votes. But now, by agreeing to enter as the third major candidate, he has definitely ensured a division in opposition votes. One should not be surprised if it helps the BJP win. It shows that the Rashtriya Janata Dal is not confident that its appeal goes beyond the Yadav fold. Dependence on Jitan Ram Manjhi, who cannot be trusted to even win on his own, is yet another element in this sad story. Thirty long years have only narrowed the scope of universal politics of social justice. It has now been reduced to staking claims of different caste groups in the structures of political power. This turn of events demonstrates that the politics of social justice does not have a transformative agenda. Or, one can even question, did it ever have one? The caste leaders have emerged as the new mansabdars. The Congress party is seen as an odd partner of the opposition alliance, as it offers little appeal to the OBCs or Dalits. Its usefulness only extends in so far as its earlier base among the upper castes is concerned. And after a long period of alienation, the Muslims see hope in it. The opposition’s acceptance, that the so-called secular platform is another rubric under which competing caste interests are clubbed together, is to help make them believe that this alliance offers the most viable political and secular option. It should not then shock us when some of them move to another platform which starts looking more promising. Ideology is not driving such politics. What it means practically is that the alliance is always temporary, fragile and no single big idea binds it together. Constant bargaining is an electoral trade-off. It can break down if total transferability is in doubt. The other side of this politics is that the alliance of caste-based groups look acceptable to the educated classes only when they back the agenda of Hindutva. Otherwise, they tend to appear backward and crass. After all, what do Nitish Kumar, Ramvilas Paswan and others represent if not their small caste group interests? But Nitish became acceptable to the upper castes for his opposition to Lalu Yadav. When he switched sides for a brief period, ditching the BJP, he was projected as a traitor. The inclusion of the left would have given the alliance an ideological cover of social transformation. One can again raise the question about the clarity of the Left itself and its own platform of social transformation. Leaving that aside for a moment, one still associates the idea of the Left with some larger concerns, some sublime idea which transcends the narrow limits of the primordial identities. Such an ideology holds the promise of bringing together different types of people on a shared platform of social change. But that is an old story now. One can say that the left parties themselves abandoned such an understanding long back, when they decided to follow leaders like Lalu Prasad and Mulayam Singh Yadav. It revealed their desperation to somehow maintain their presence in parliamentary politics, especially since their own mass following has shifted to greener electoral pastures. Bereft of any imagination, they surrendered before the caste leaders. Such a lack of conviction in its own ideas has made the Left cut a sorry figure as they are seen only as supplicants with no ability to mobilise a respectable number of votes to secure alliances. The Left no longer has an independent constituency which would vote based on their call. So, in a way, the CPI itself has to blame for this humiliation. The Left’s alliance also looks like a farce. 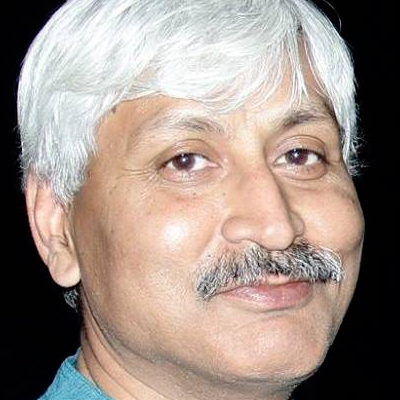 The CPM had in one of the earlier elections conveniently walked out of the Left front, when Lalu offered it seats, leaving the CPI and the CPI (ML) out of it. Similarly, the CPI(ML) has no bargaining power to pressure the RJD into leaving the Begusarai seat for its Left Front partner. Both are competing for favours from the RJD. They are not negotiating with the RJD as a front. The CPI is, therefore, left with no option but to fight alone in these elections. 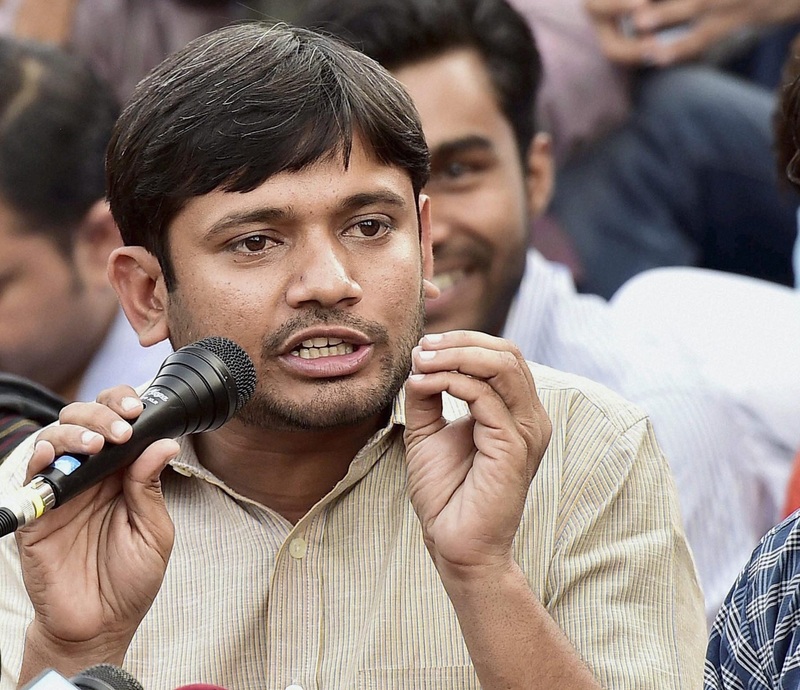 Kanhaiya says that he would campaign for the anti-BJP alliance in the rest of Bihar. But the fact that the alliance does not claim ownership of his campaign makes his claims weak. The opposition’s refusal to make Kanhaiya its combined representative betrays its claim to stand for liberal values, values of freedom of expression, opposition to majoritarian politics, an alliance of the oppressed, etc. How is it that, those who opened their arms to embrace Kanhaiya when he emerged as a powerful voice of liberal and democratic values, today do not find him worthy enough to represent them in the Lok Sabha? Their argument that their constituency would leave them if they adopt Kanhaiya, only shows how weak their politics is and how they’ve become prisoners of their own following, and not their leaders. One does not know whether there would be any space left after these elections for the Left and the social justice mansabdars to think about the meaningful recovery of their political project. The 2019 elections will be remembered as a missed opportunity.